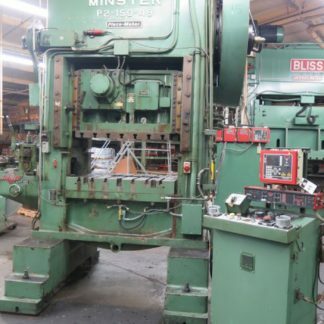 Minster B1-32 ½” Stroke, 10½” Shut Height, 22″ x 15″ Bed, 100-200 SPM, Nice! 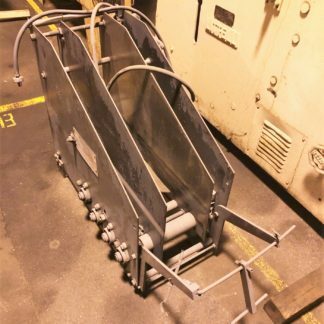 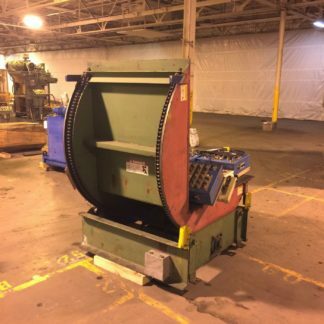 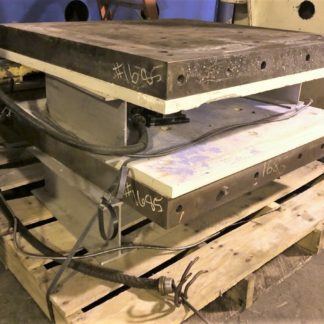 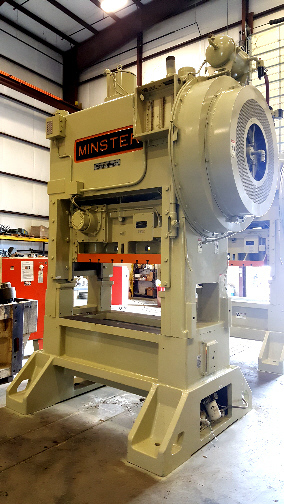 Minster B1-60 FIXED BASE 60 Ton, 2″ Str, 32″ x 21″ Bed, 200-400 SPM, with 4-1/4″ Roll Feed, *Note: 2 in Stock!! 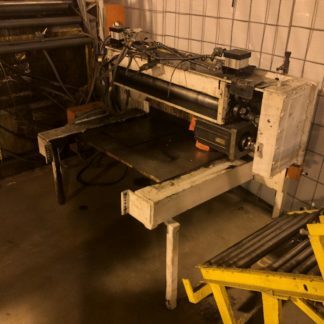 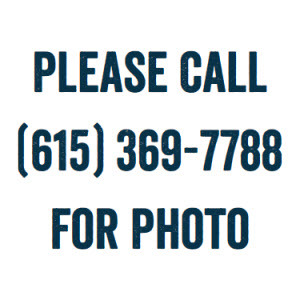 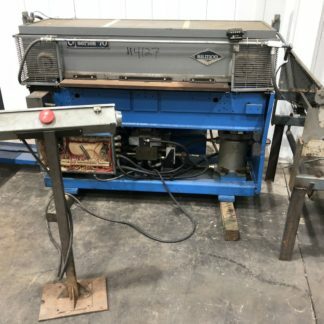 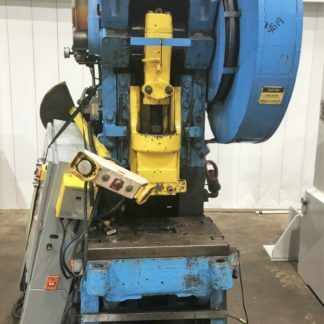 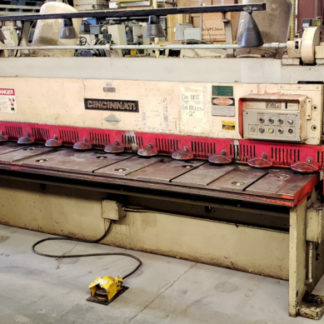 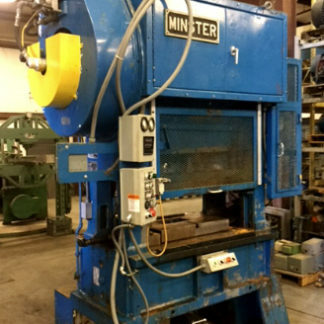 Minster 6 2.5″ Stroke, 12″ Shut Height, 32″x21″ Bed, 90 SPM, 3″ Adjustment, Nice Lube System and Very Good Condition! 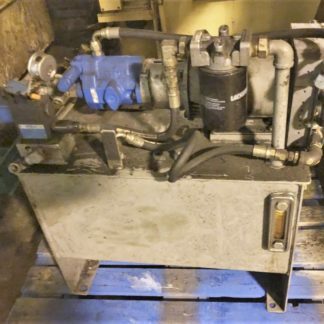 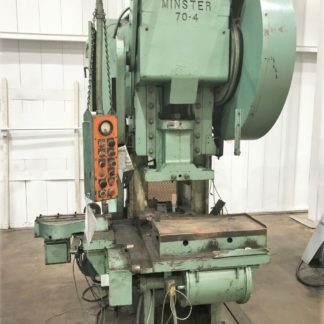 Minster 70S-5-1/2 5″ STR, 19″ SH, 38X26, 40 SPM, 3.5″ ADJ, NEW CIECO 1100R CONTROL & MORE, RECONDITIONED and MOSTLY REBUILT! 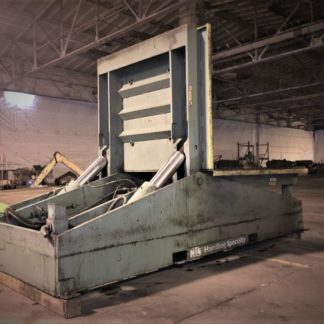 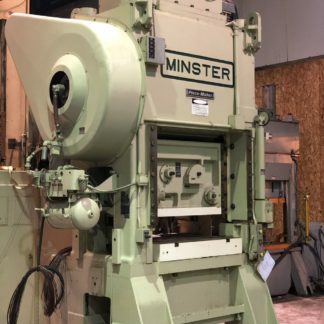 Minster G1-150 12″ Str, 26″ Shut Height, 6″ Ram Adj, Cushion in bed, 50″ x 30″ Bed, Updated Controls, Reconditioning now! 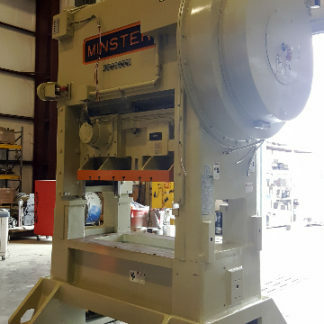 Minster presses out of Minster, Ohio have been in business since 1896 and have produced some of the finest manufacturing stamping presses in the world. 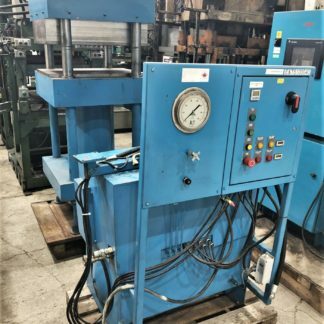 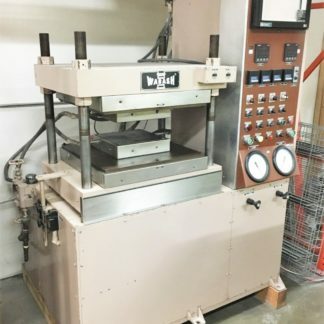 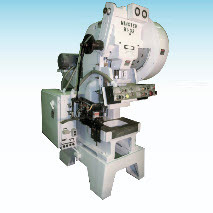 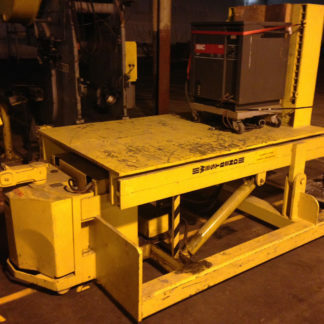 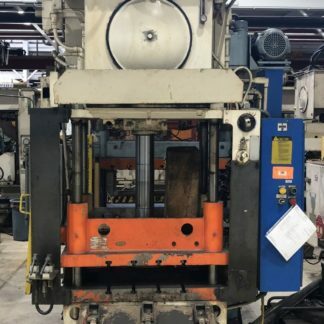 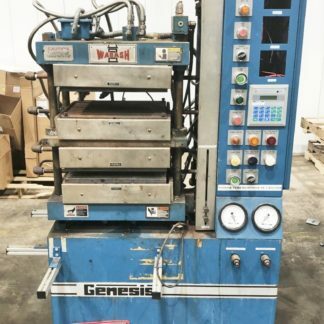 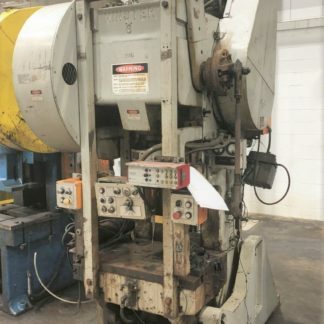 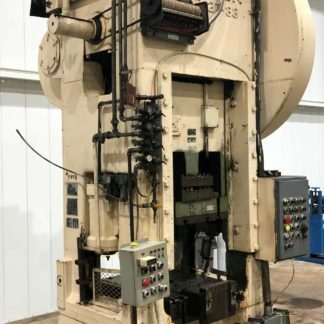 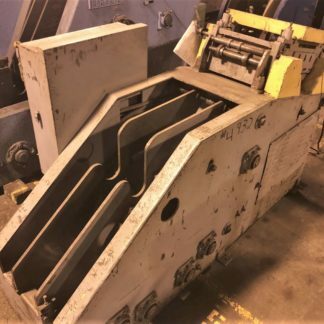 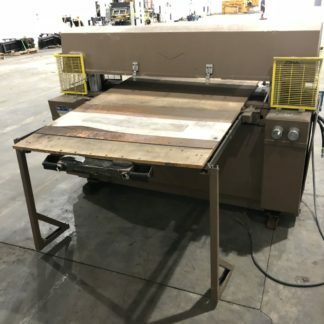 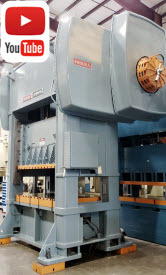 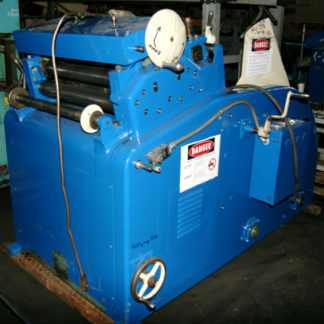 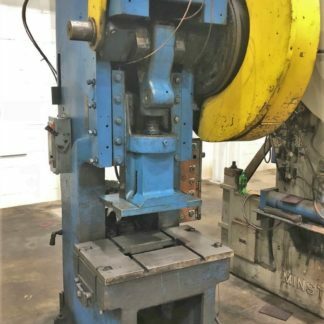 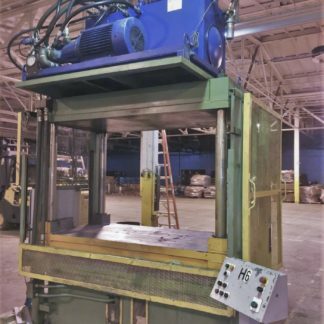 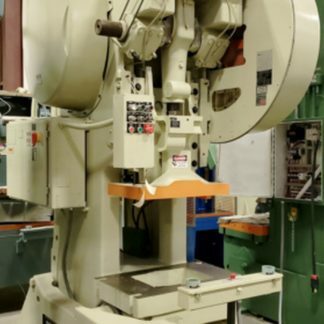 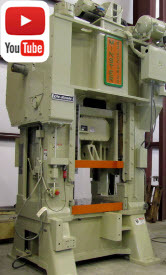 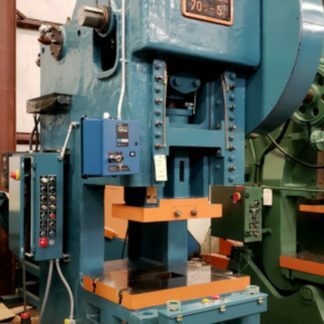 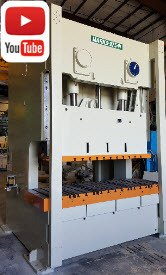 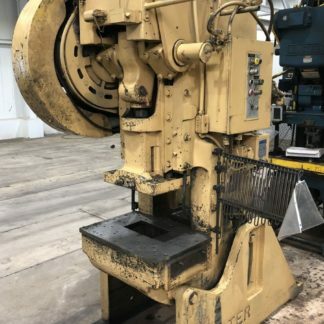 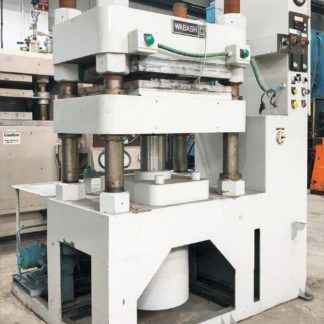 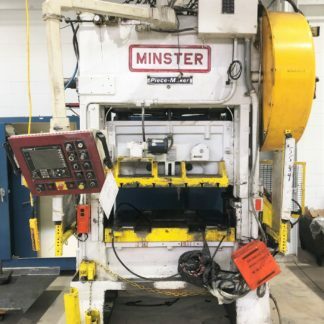 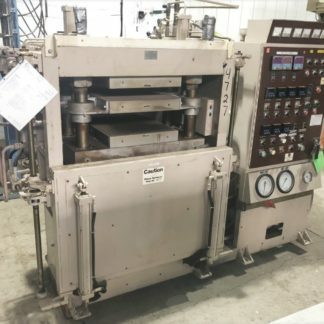 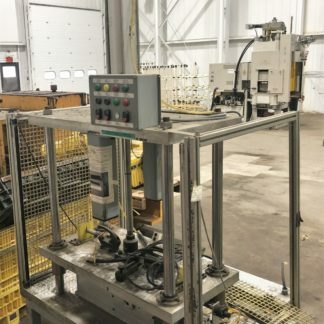 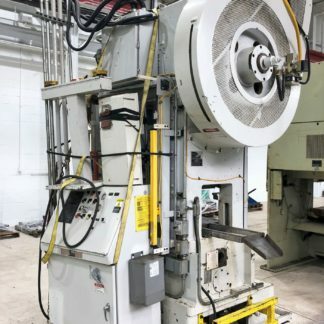 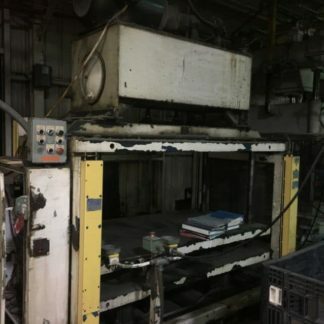 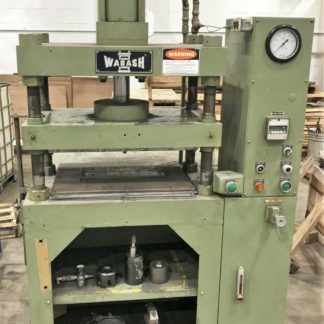 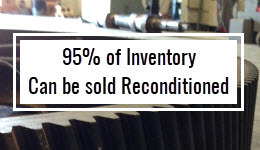 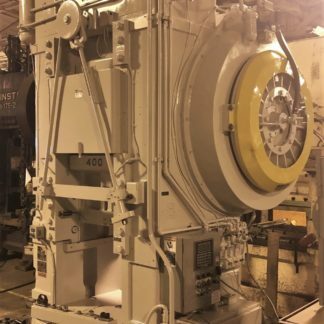 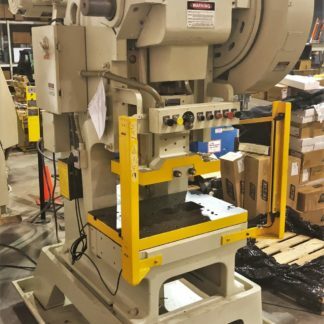 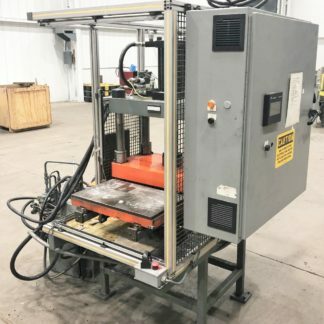 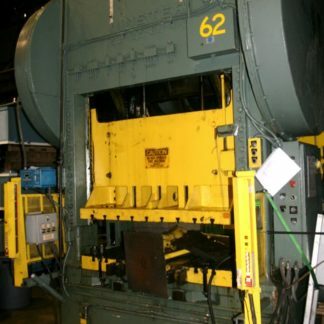 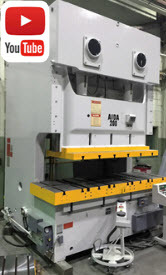 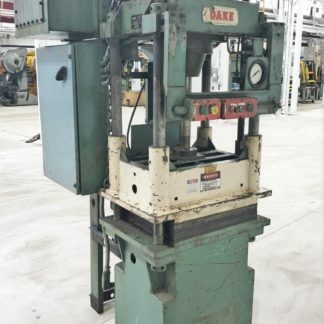 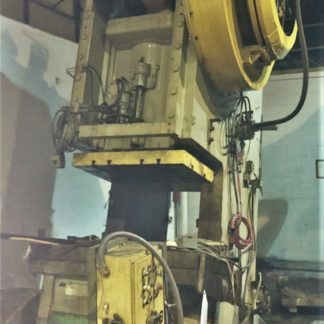 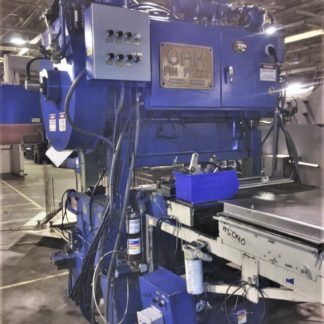 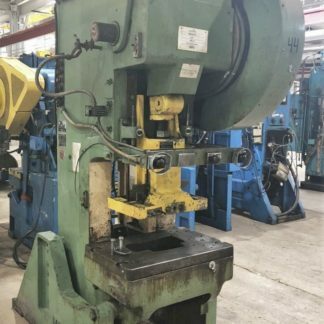 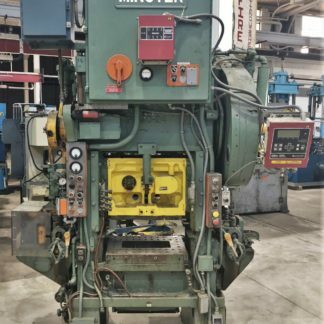 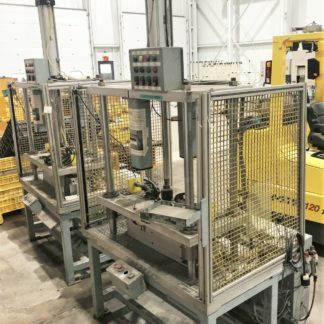 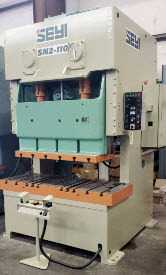 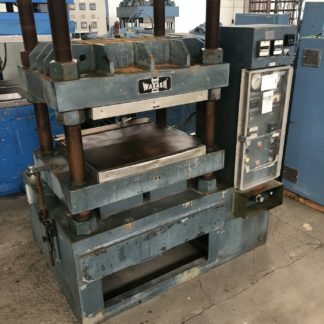 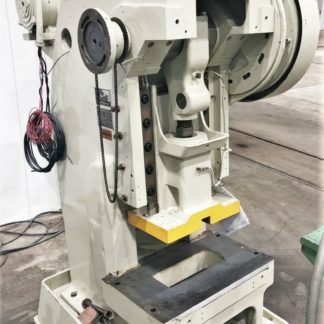 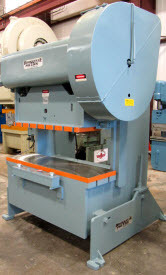 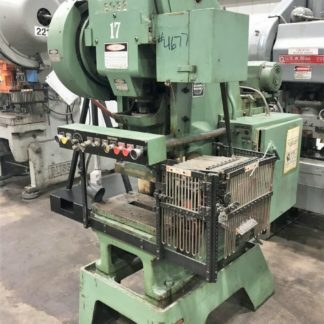 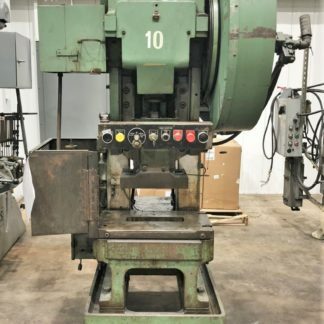 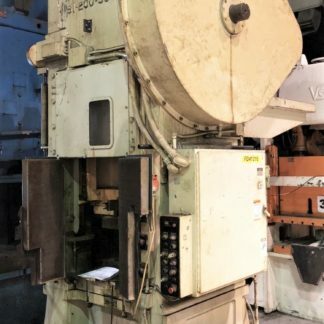 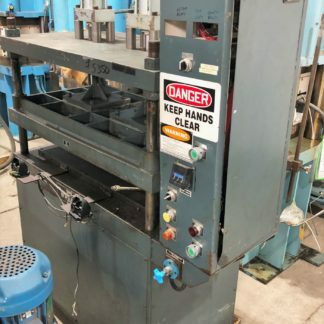 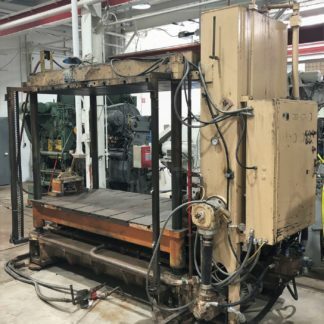 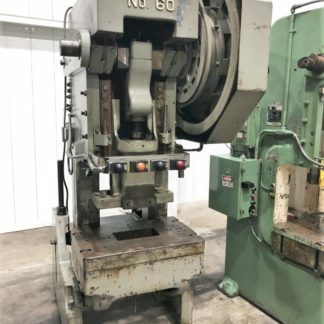 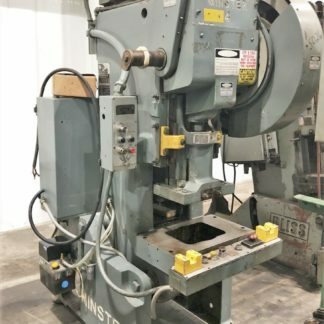 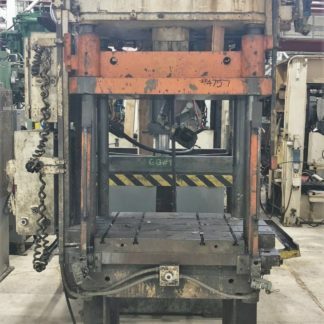 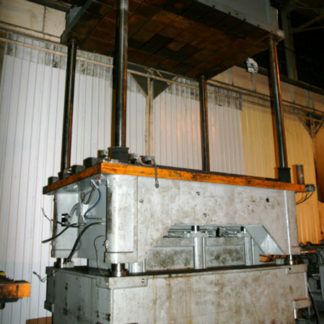 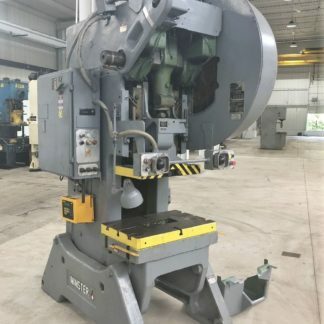 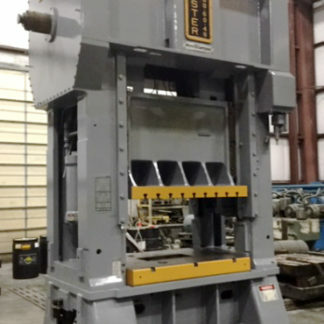 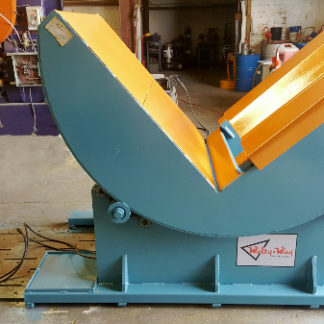 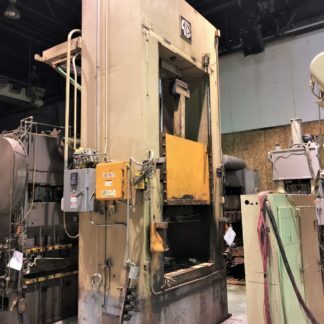 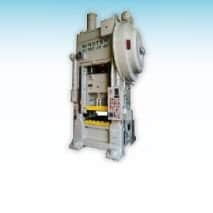 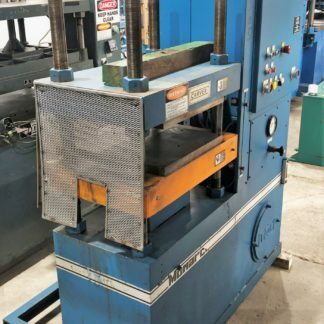 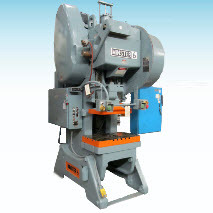 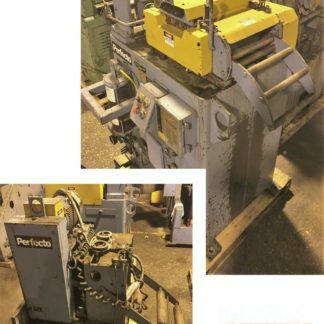 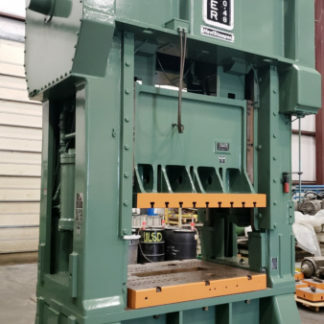 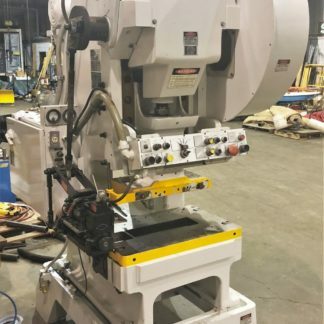 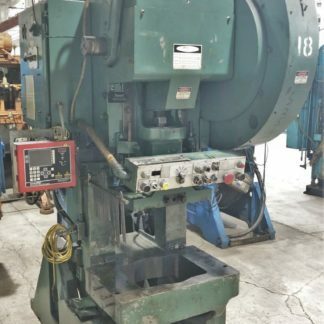 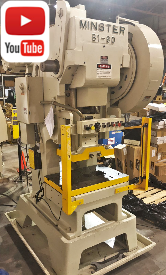 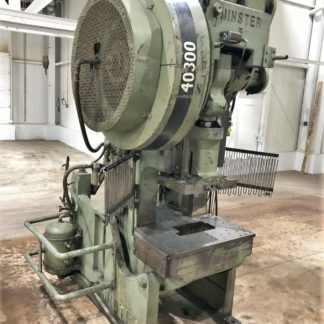 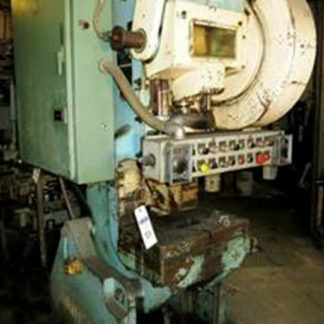 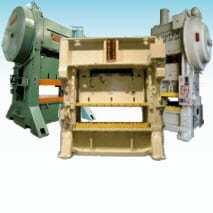 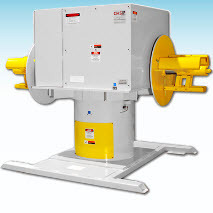 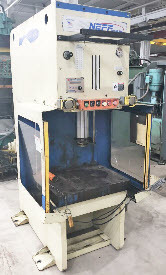 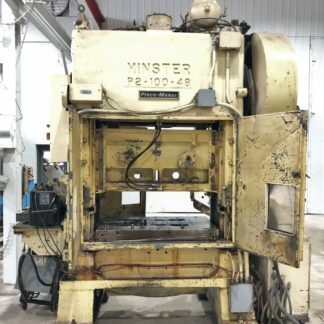 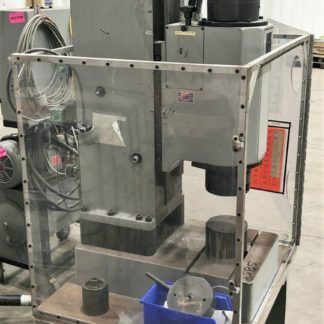 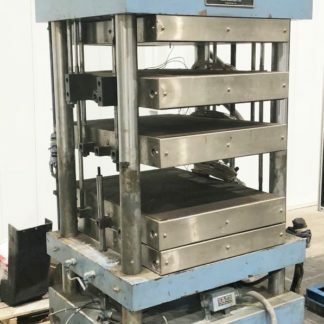 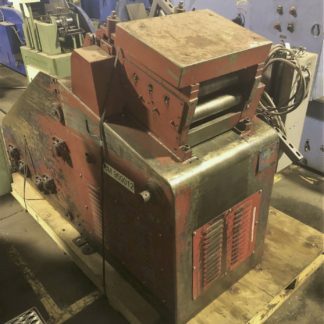 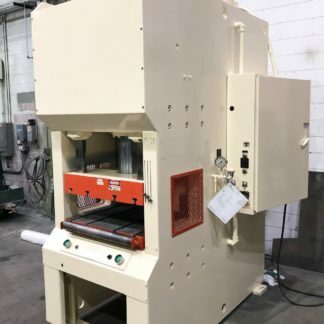 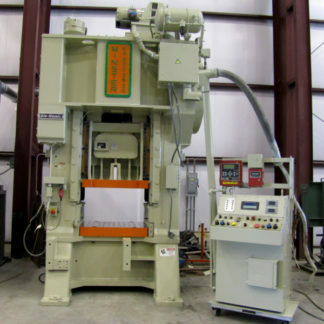 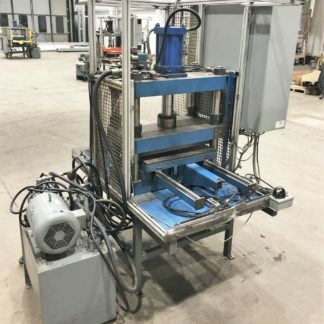 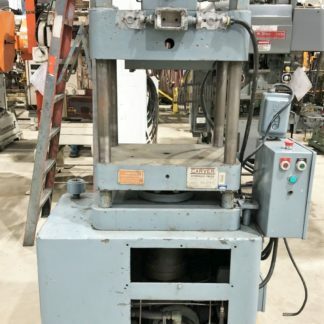 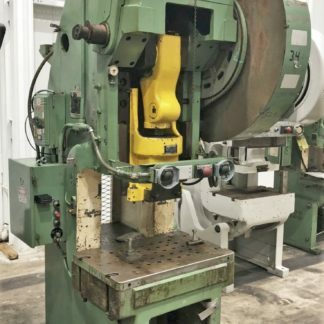 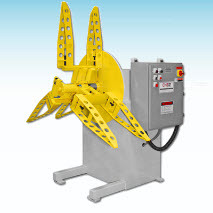 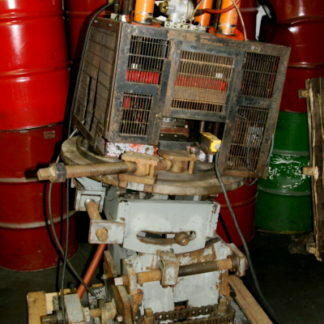 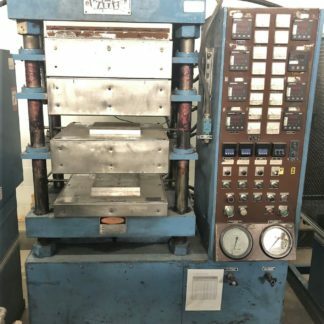 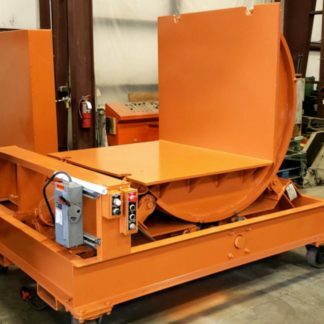 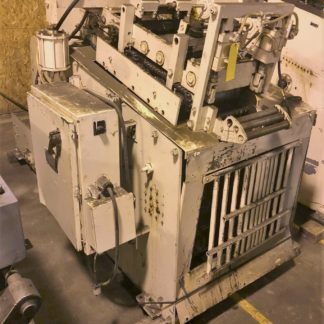 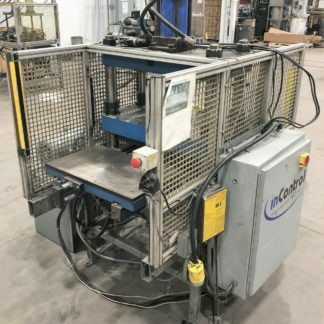 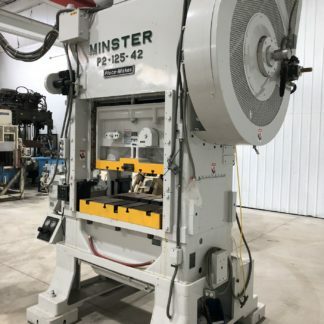 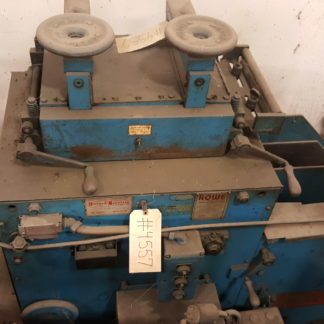 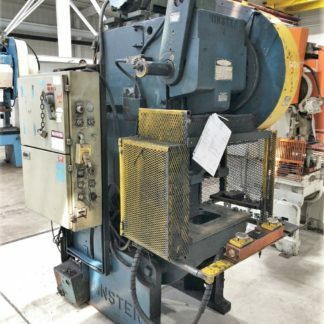 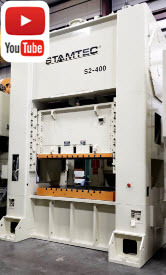 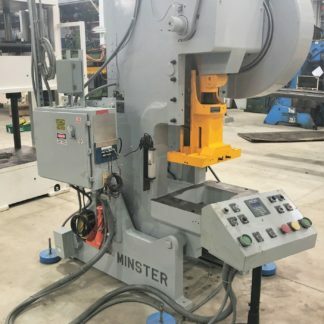 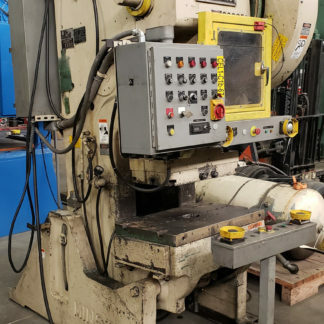 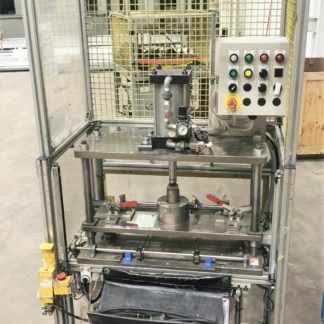 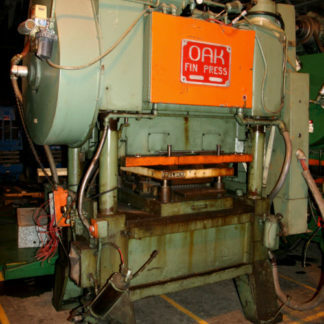 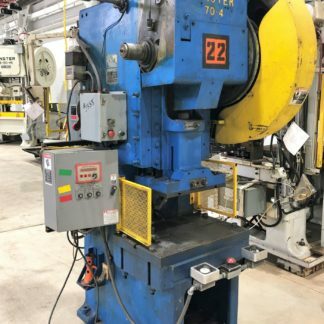 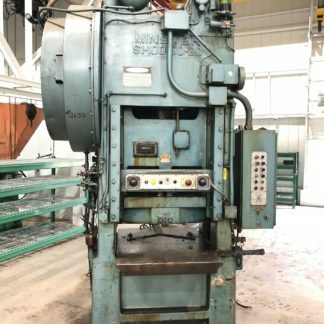 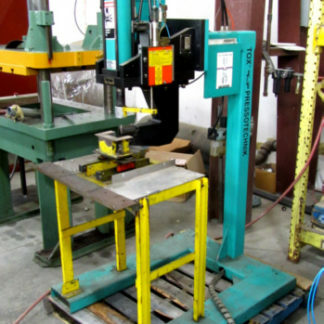 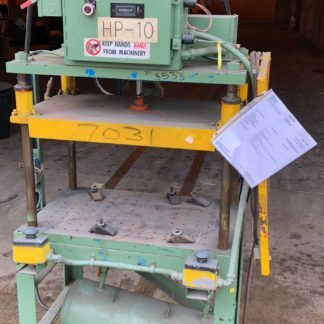 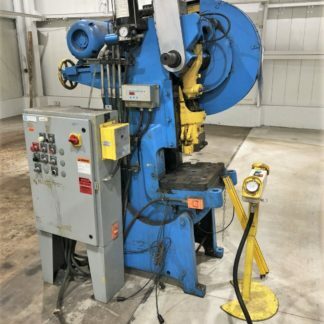 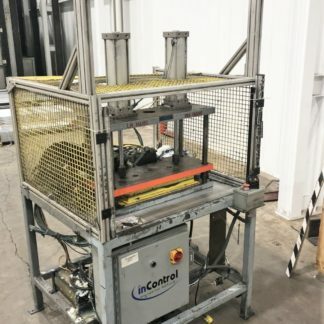 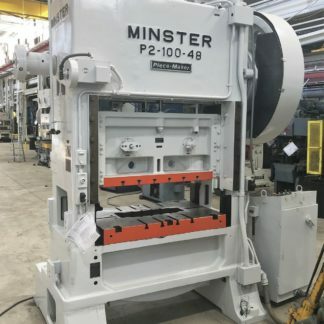 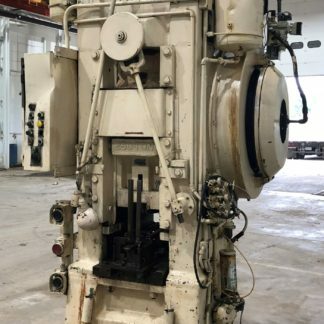 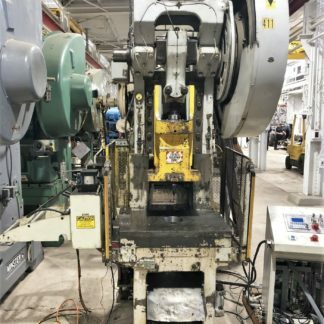 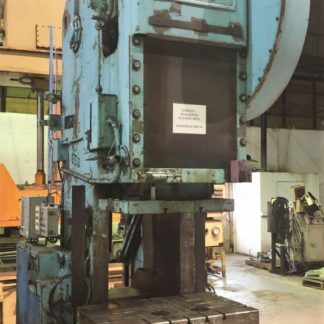 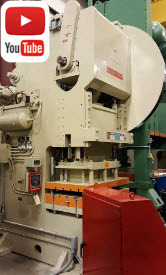 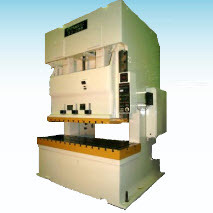 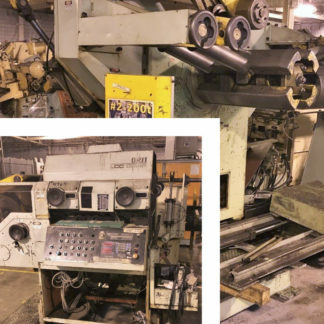 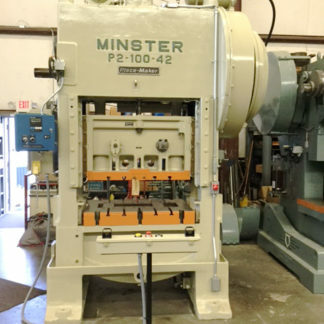 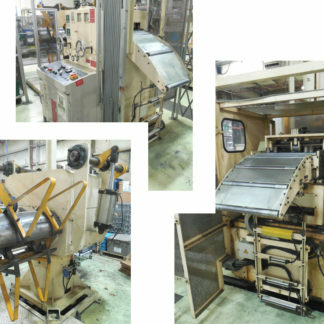 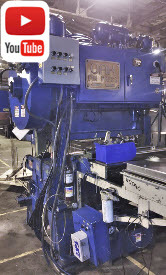 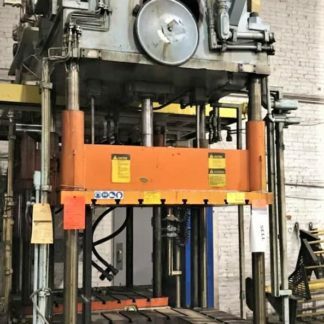 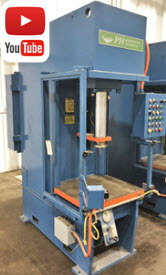 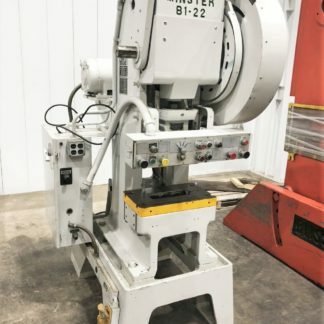 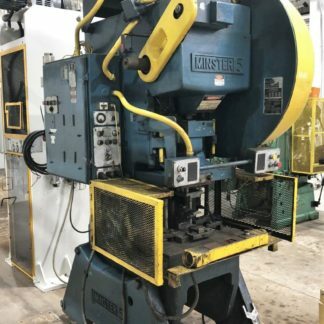 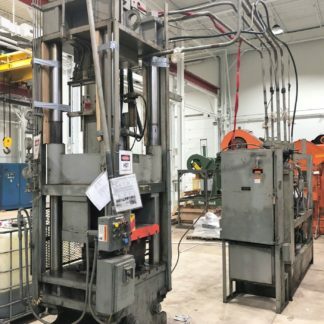 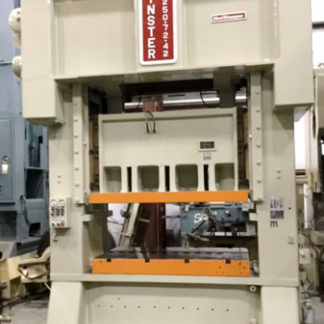 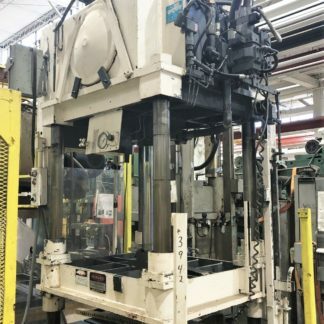 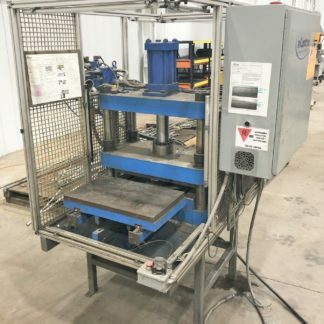 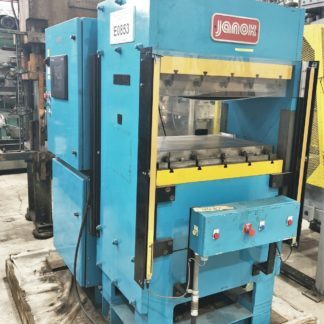 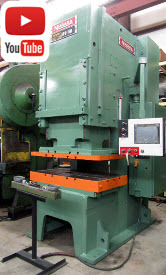 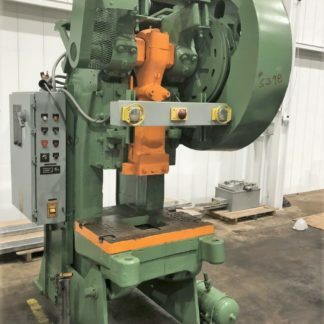 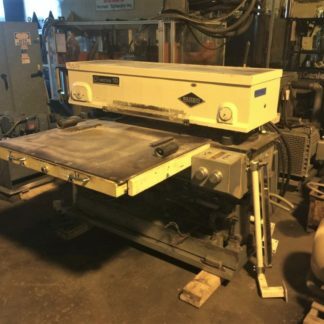 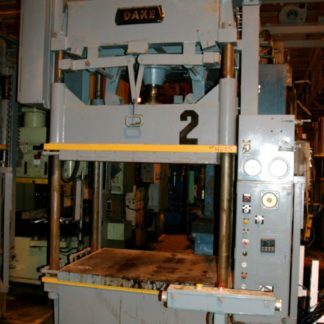 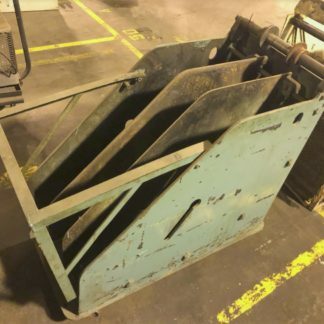 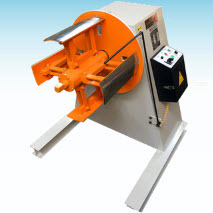 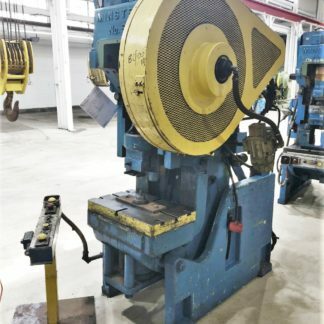 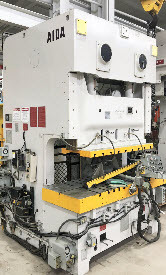 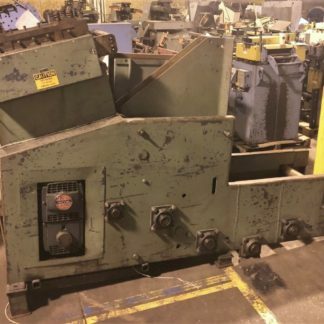 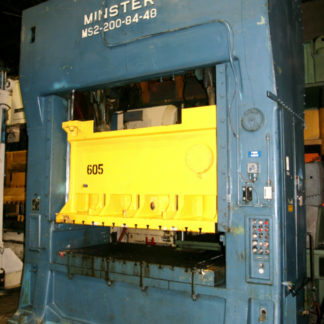 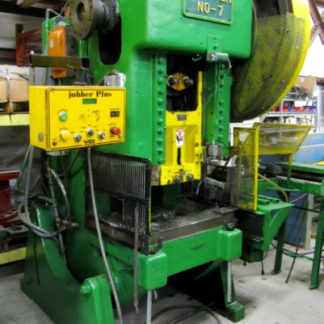 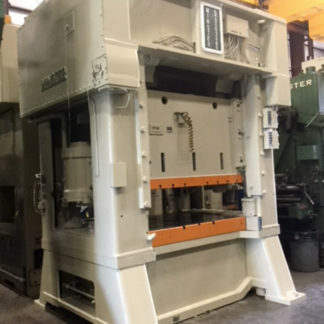 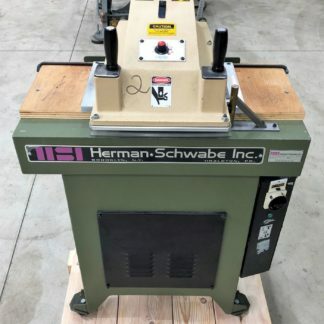 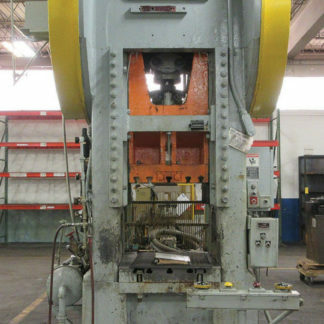 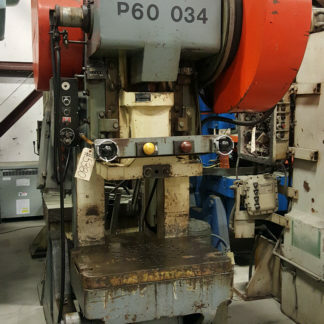 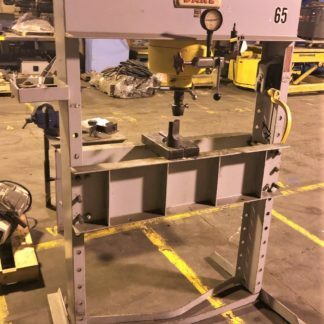 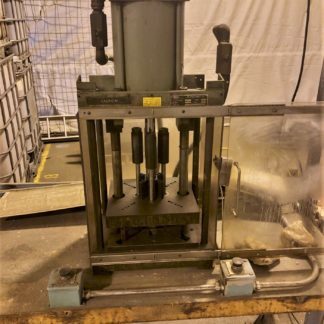 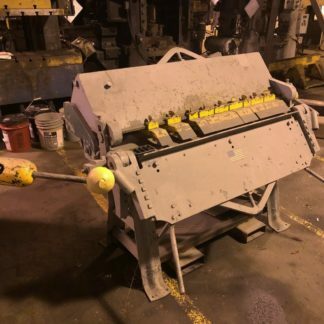 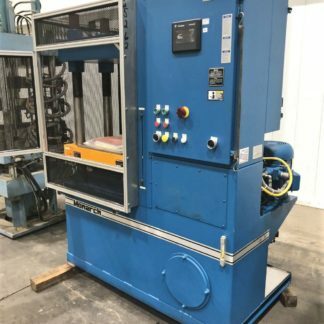 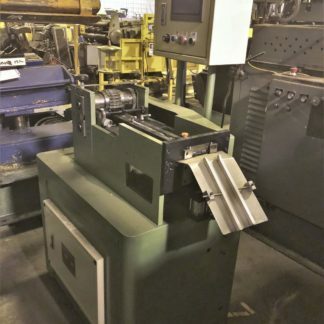 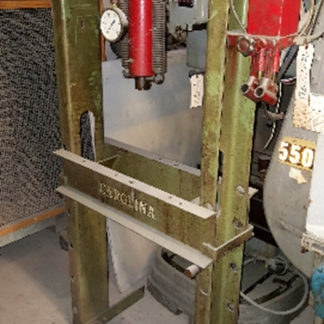 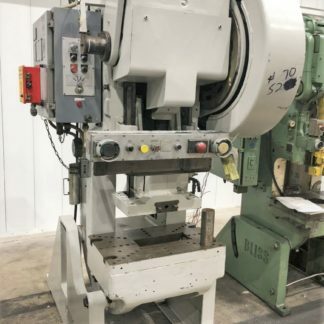 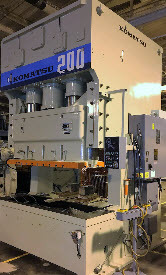 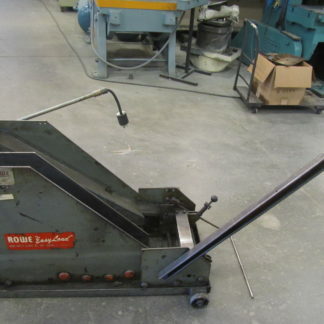 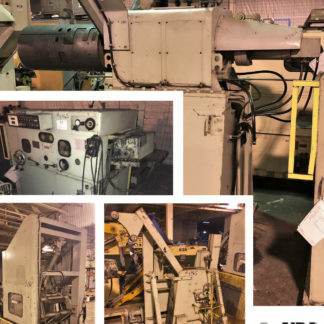 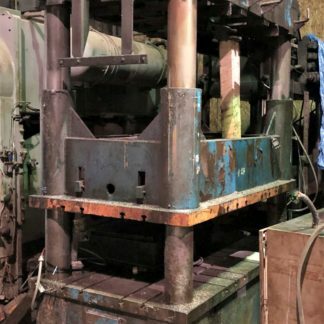 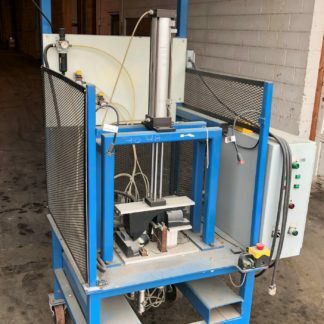 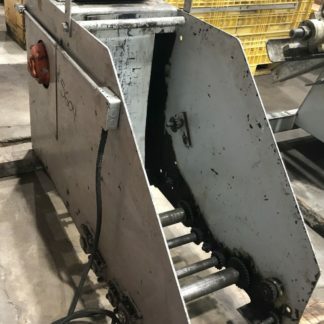 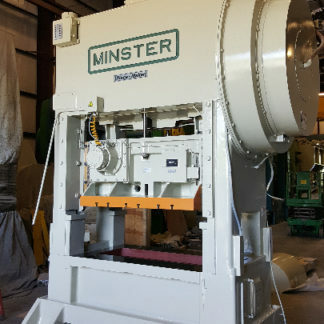 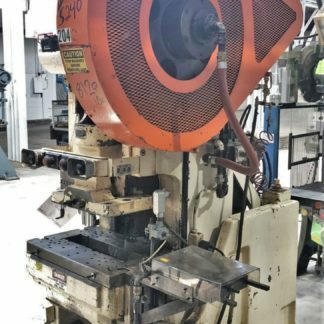 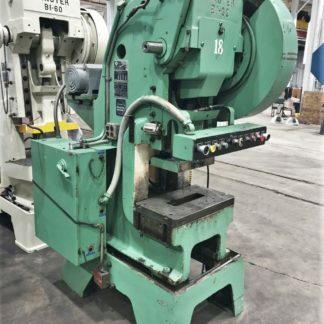 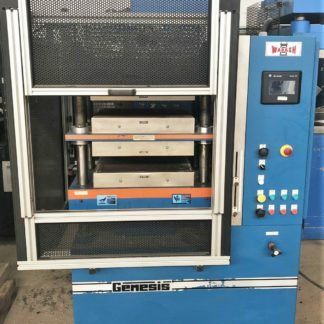 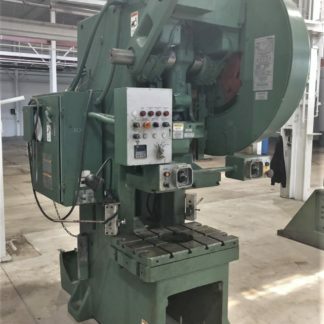 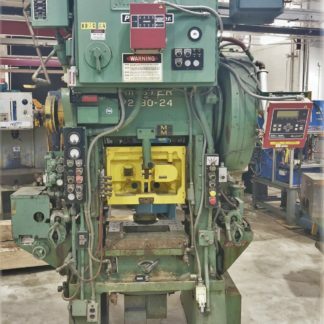 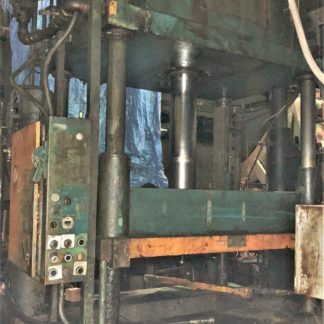 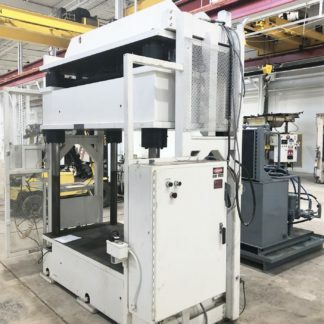 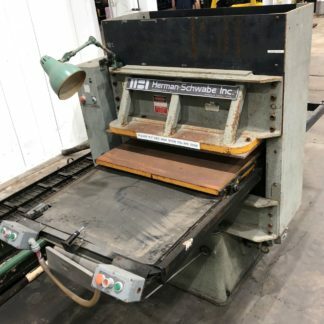 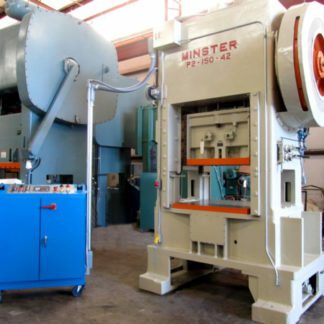 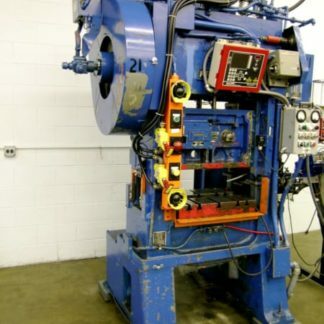 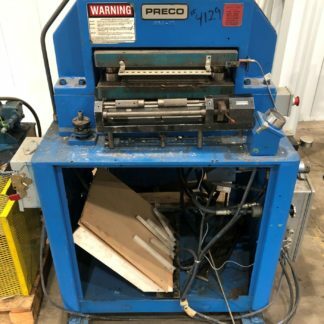 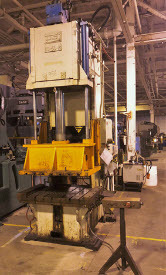 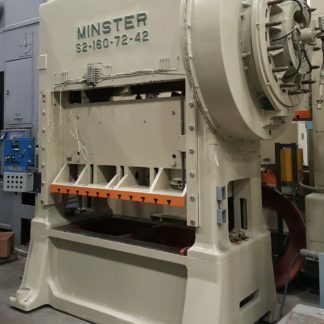 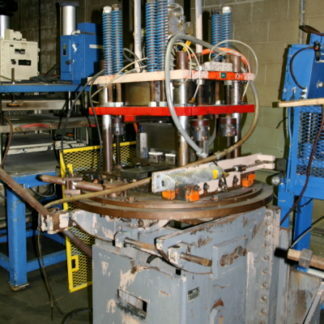 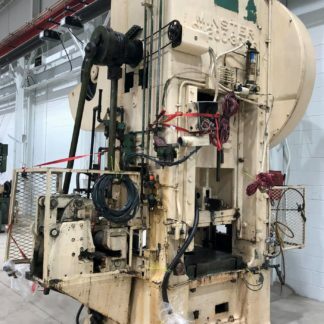 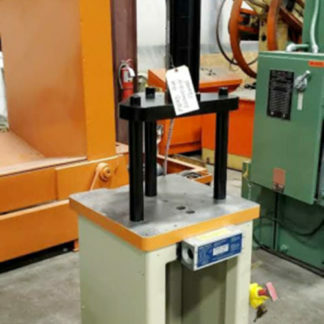 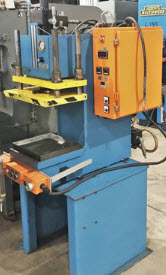 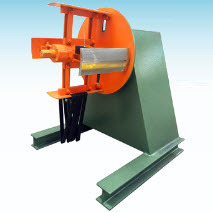 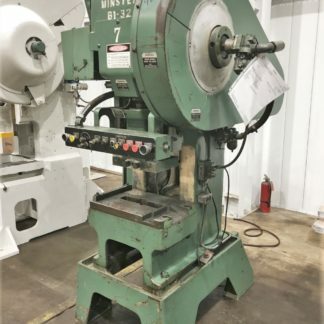 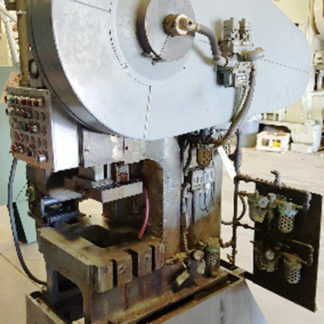 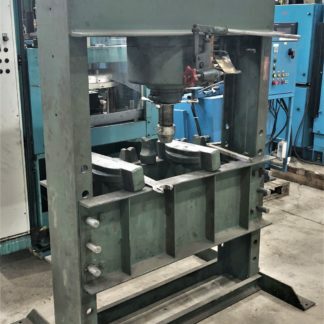 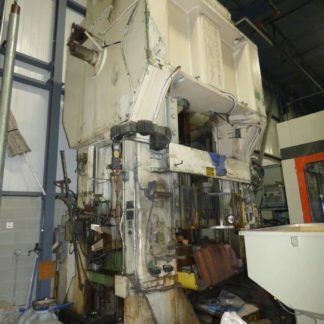 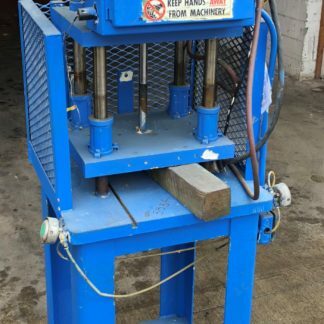 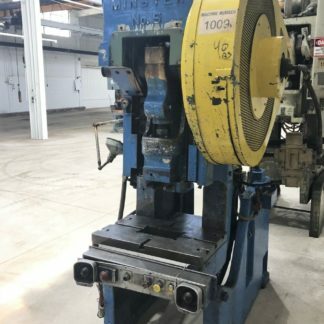 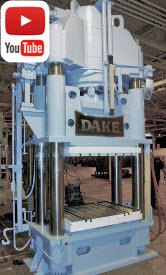 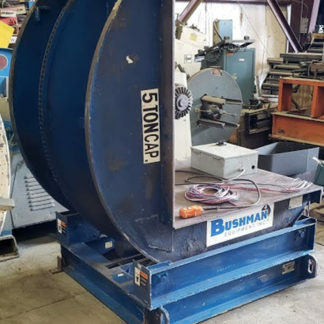 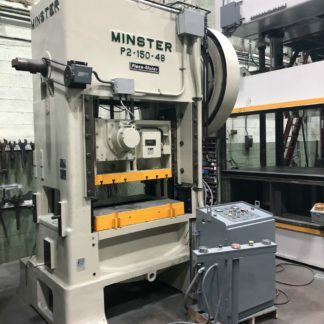 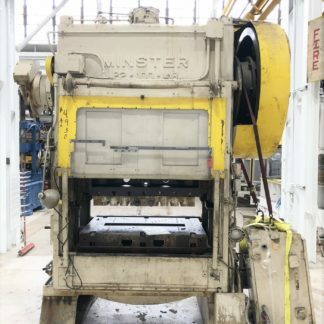 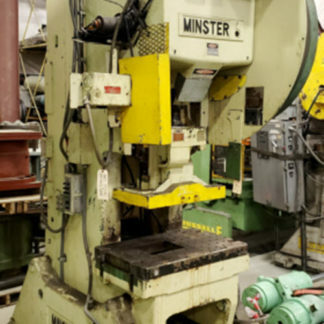 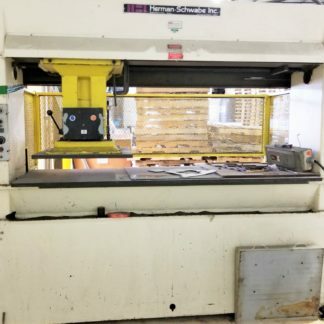 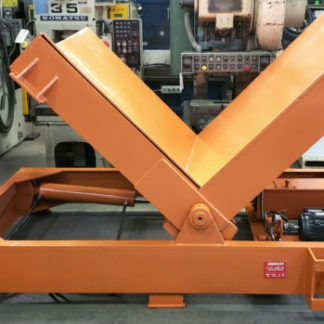 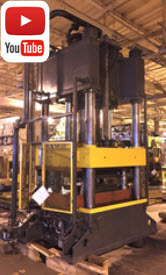 A used Minster press is considered one of the most reliable stamping presses on the market today. 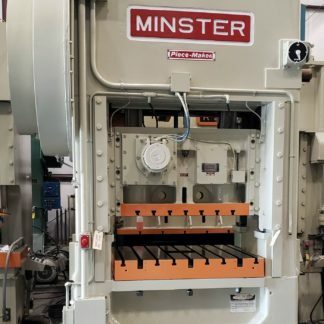 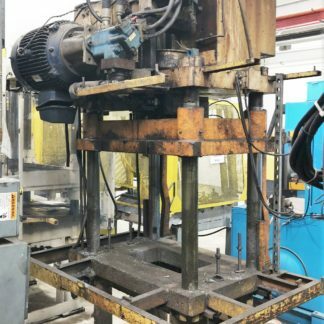 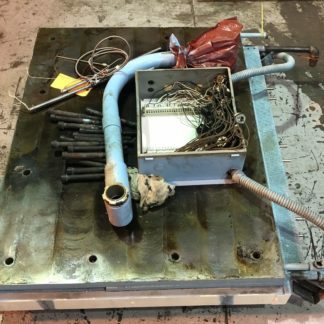 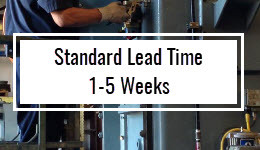 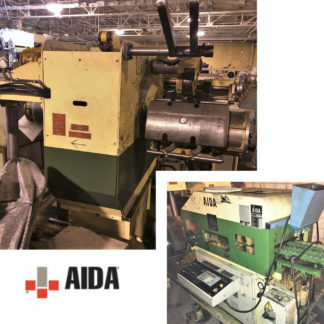 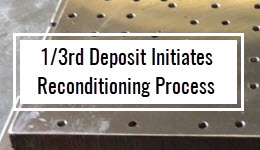 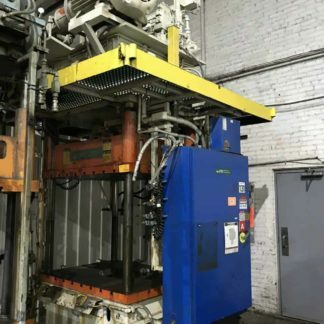 Now a member of Nidec Minster, manufacturers agree that a used Nidec Minster press can both increase productivity and reduce downtime because they are such a reliable used stamping press.